Officer Jereme Howery and Sergeant Robert Dine are featured in The Speedway Town Press – West Side Messenger for their mentoring Speedway High School students through weight lifting. Great job! Officer Alex Redding and Speedway Police Intern Kelsea Hardin surprised Allison Elementary kindergarten student Kingston Fry for lunch. 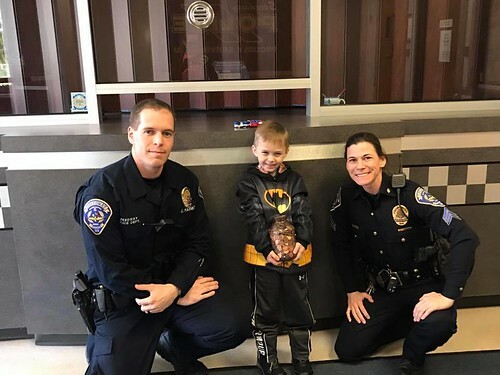 Speedway, IN, February 9, 2017: Kingston Fry and his grandmother came to the Speedway Police last Saturday to support the police by donating pennies. Darlene Fry Barnhill told the Speedway Police that her grandson, Kingston, had been collecting pennies from their home in Speedway. 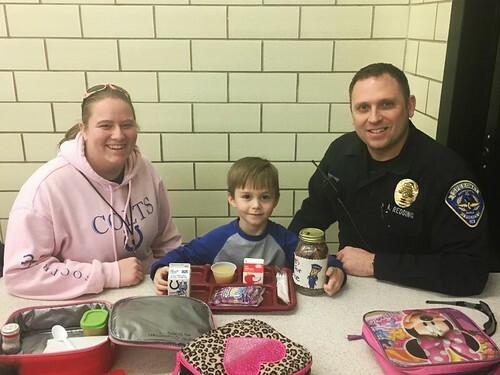 After Kingston had filled a 32 ounce Mason jar, he told his grandmother he wanted to donate the pennies to the officers of the Speedway Police Department to help provide them with equipment and other needs the officers may have. Officer Alex Redding and Speedway Police Intern Kelsea Hardin went to Allison Elementary to personally thank Kingston for his generous donation and spent some time with Kingston and his Allison Elementary classmates at lunch. 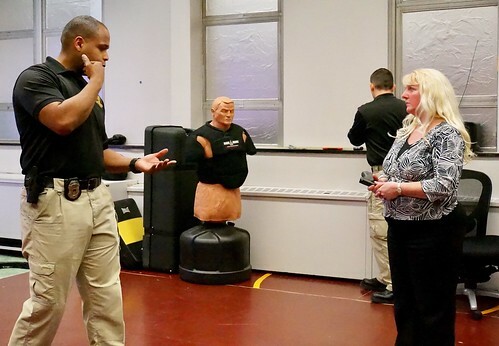 The Speedway Citizens Academy Alumni participated in a “Shoot / Don’t Shoot Use of Force” class at the IMPD Training Academy. 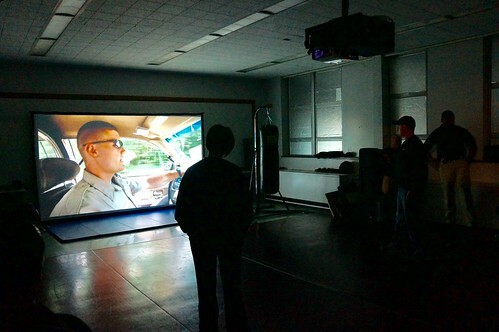 Utilizing the Firearms Automated Training System, the class offered them a unique chance to experience a small glimpse of what an officer does during encounters with the public, and the split-second decisions that need to be made in a variety of situations. 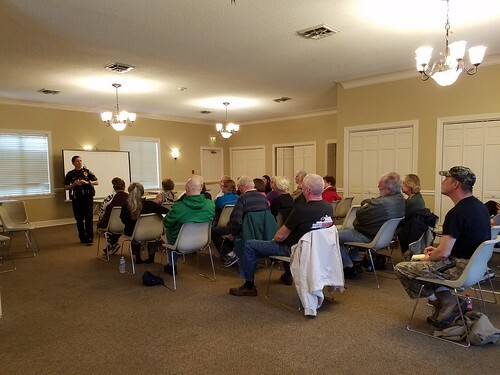 Speedway Neighborhood Watch meeting was held April 4 with a presentation to residents on the Community Emergency Response Team (CERT) program, followed by an open Q & A forum by SPD. 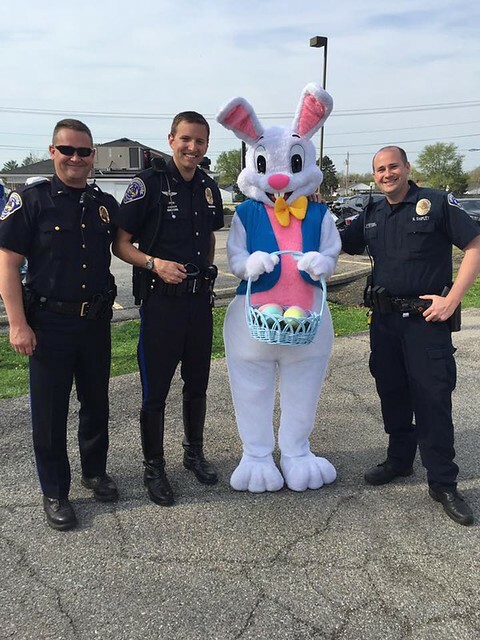 Lt. Trent Theobald, Officer Jacob McAtee and Officer Nathan Shipley shop by and say hello and pose with the Easter bunny at the Pride Academy Easter Egg Hunt! Stay tuned for more of the 2017 Year in Review!